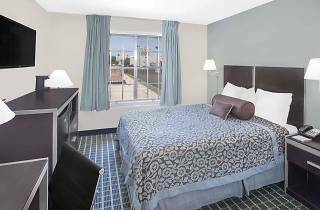 The Days Inn Market Center is a few minutes’ walk from the Dallas Market Center, which makes it a great choice if you’re planning to attend an event there. You’re also within walking distance of the art galleries, interior design stores, restaurants and coffee shops in the glamorous Design District. Downtown Dallas, the Arts District, Deep Ellum and Bishop Arts District are a short drive away. If you prefer not to drive, you can take bus number 15 on Turtle Creek that takes you to Elm @ Lamar in the heart of downtown. 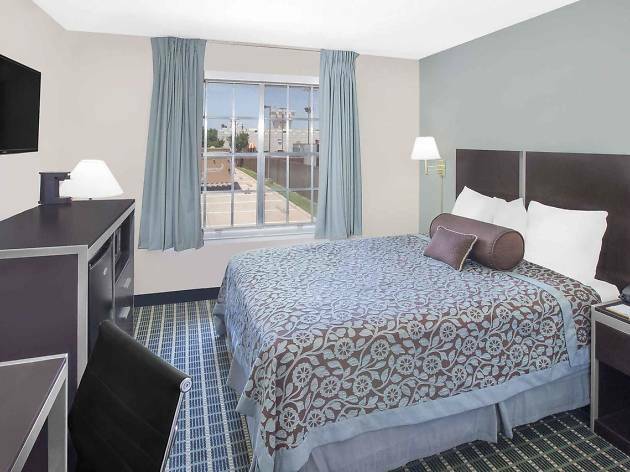 Hotel amenities include free breakfast, free Wi-Fi, free parking, a business center and a mini-market. Inside each room, you'll find a coffee maker, toiletries, a hairdryer, and a flat-screen TV. Interconnected rooms, family rooms and accessible rooms are available.